Need an espresso coffee pick-me up to get through the holiday? Don't want to pack lunch for your day trip? Want to treat the kids to an ice-cream? Forgot the family's favourite set of lures? 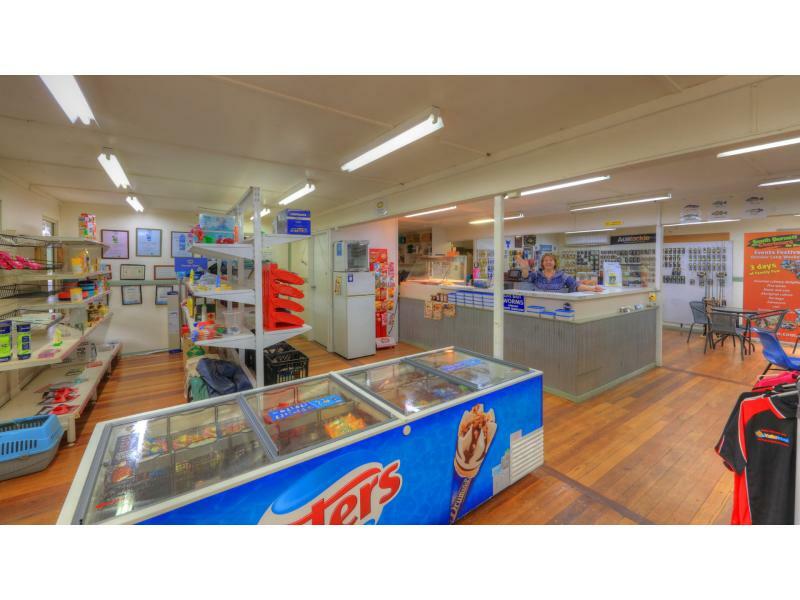 Then drop into the friendly Kiosk for information and convenience items. Corey, Niki and staff will be willing to help you out with all of your needs. 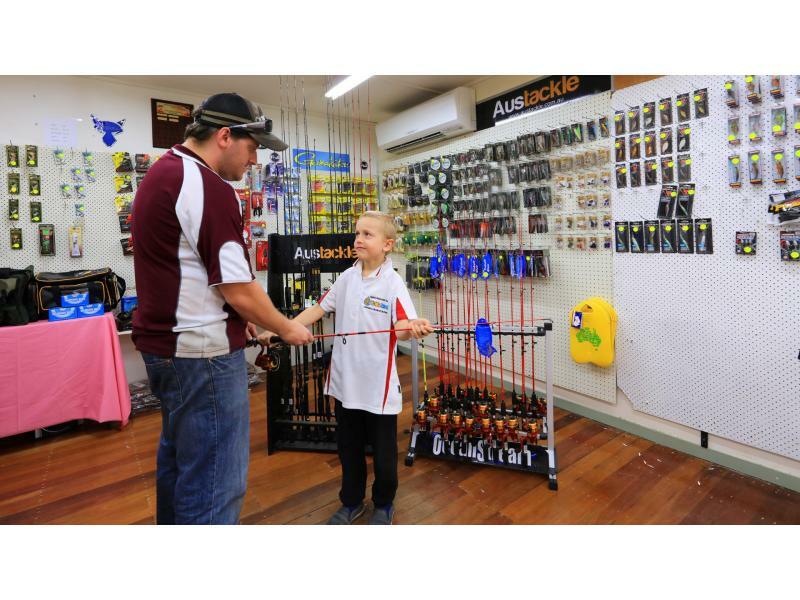 If we don't have what you need, you can drive to Murgon, it's only 20 minutes from the Dam and worth the trip. With all the shopping conveniences right in town (grocery stores, clothing stores, gift shops, electronic stores, cafes, hotels and the RSL), there needs to be no worry about bringing everything but the kitchen sink. 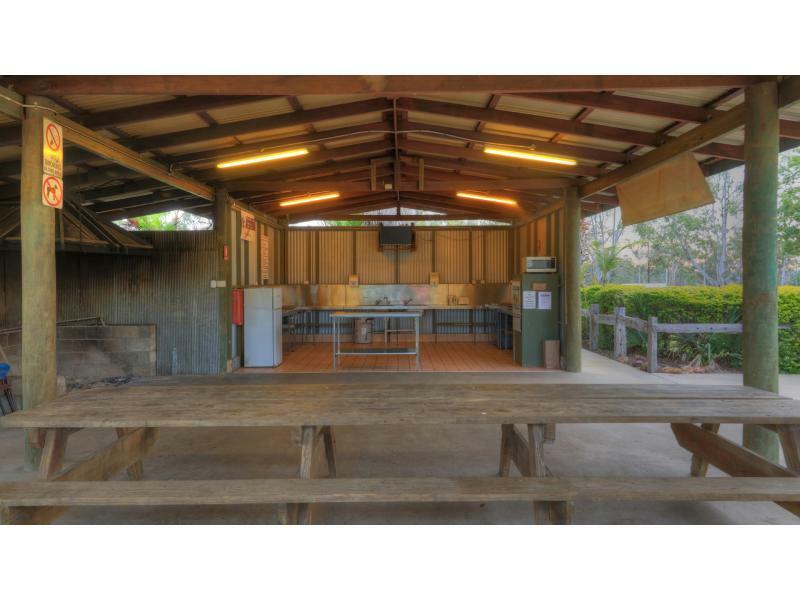 The Camp Kitchen is a communal space shared by those holidaying in the park. 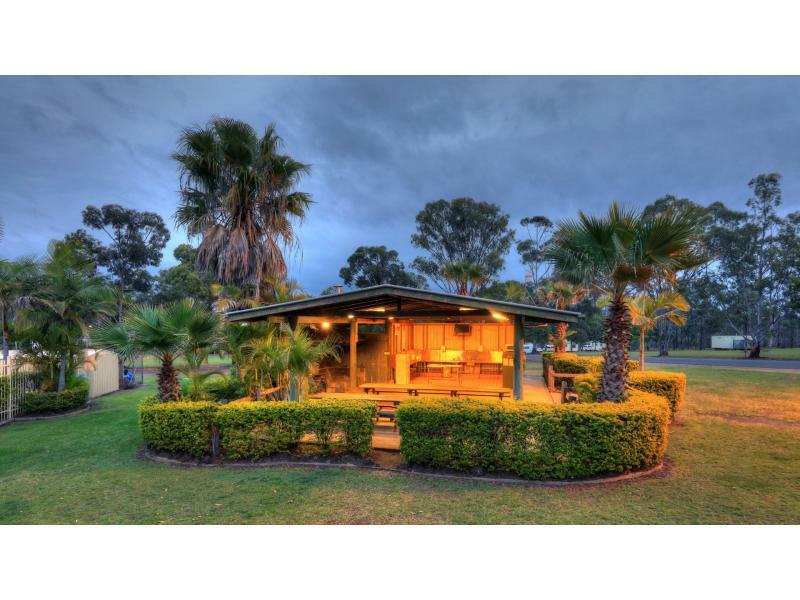 It's a large space with fire pit to enjoy your camp oven cooking or just warming yourself, fridge, microwave, two electric push button start BBQs, hotplates, stove, picnic tables and communal TV. 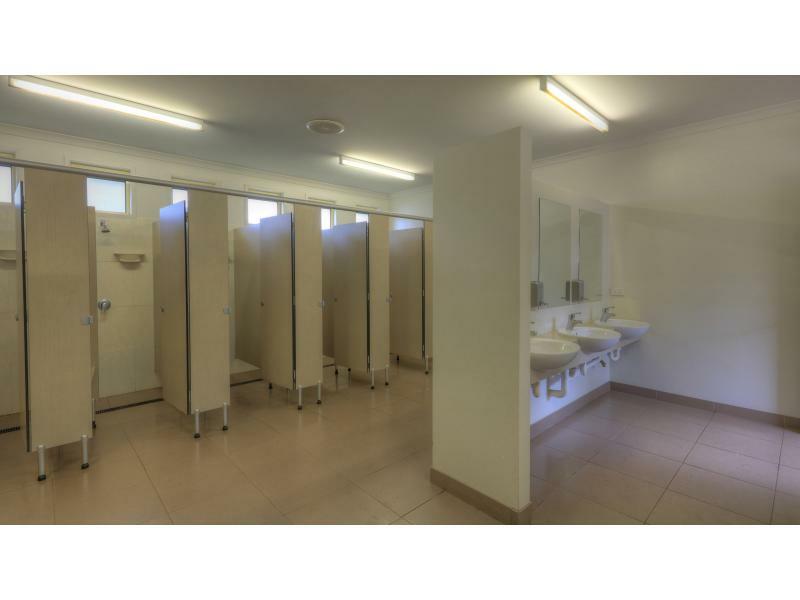 This space is conveniently located beside the swimming pool, tennis courts and play equipment. 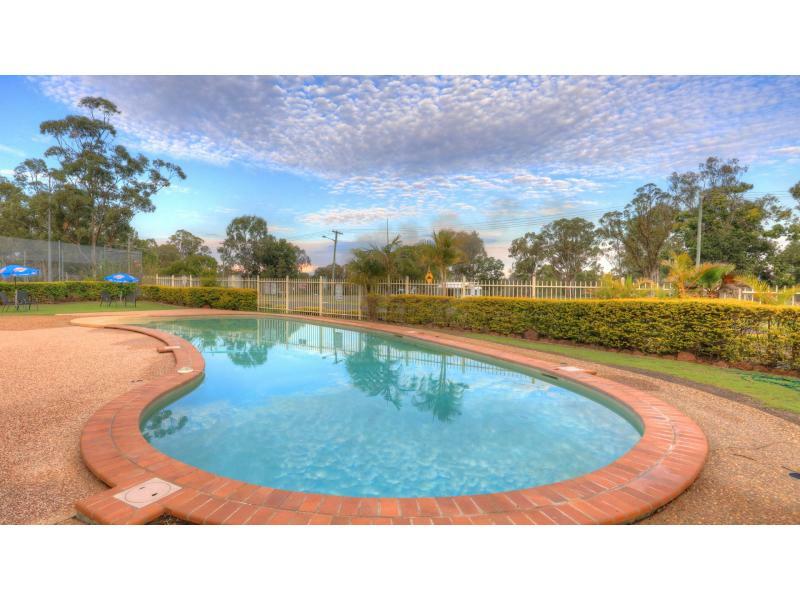 The swimming pool is a regularly serviced chlorinated salt water pool. 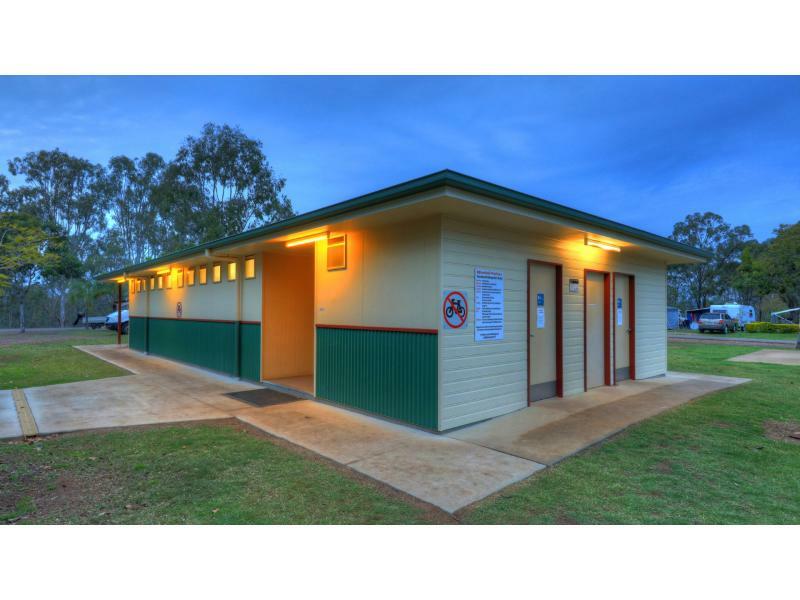 It is situated beside the camp kitchen, tennis courts and play equipment. The tennis courts are available for use during your stay. There is no hire fee to use the courts but there is a charge if wanting to play under lights during the hot summer months. Racquets and balls are also available from the kiosk. 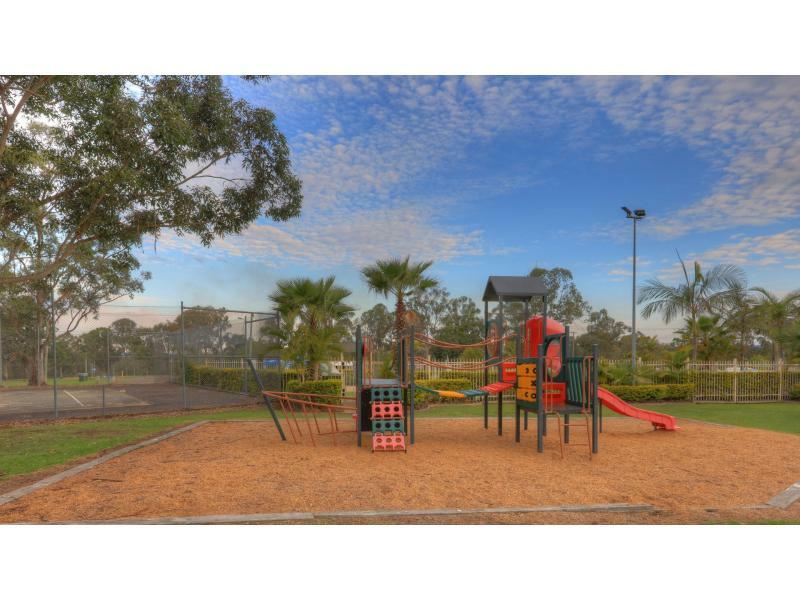 The Play Equipment has been recently upgraded so that all children can play in and around the equipment for an equally good time and is conveniently located near the camp kitchen so you can enjoy the communal facility while still being able to watch over your children.